The Cars are an American rock band that emerged from the new wave scene in the late 1970s. The band originated in Boston, Massachusetts, in 1976, with singer, rhythm guitarist and songwriter Ric Ocasek, singer and bassist Benjamin Orr, lead guitarist Elliot Easton, keyboardist Greg Hawkes and drummer David Robinson. 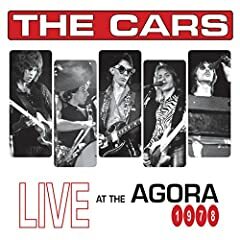 The Cars were at the forefront in merging 1970s guitar-oriented rock with the new synthesizer-oriented pop that was then becoming popular and which would flourish in the early 1980s. As this is the first track off the debut album the lyrics (could / may / be / are ) an invitation to their lable and media to do what ever it takes to make and keep them popular, to let the good times roll. Whatever your interpretation is, please. know I mean no disrespect, I see things, not as they are, but as I am and as a Beatles fan I perceive your / this work as a tribute to John's commentary on media attention during his "give peace a chance" era. Being able to earn a living doing what you love and grow within your art and expression is a path I admie and I thank you for your hard work and rewards of a life truly lived.